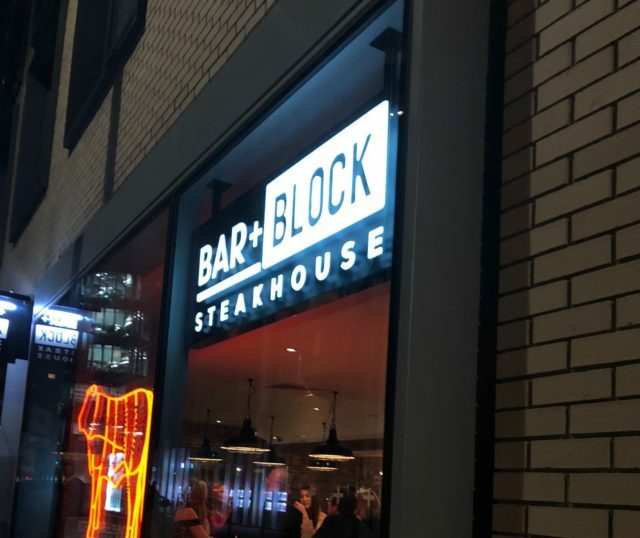 With a name like Bar + Block you expect to be inundated with drinks and all the meat in the world, Bar + Block’s newest eatery in Aldgate doesn’t disappoint at all as you can have your steak as big as you like it! The slick new eatery that boasts of an open kitchen is just a stone throw away from Aldgate East station on the Hammersmith & City line. On arrival you are greeted by modern wood paneling and a very contemporary artwork. 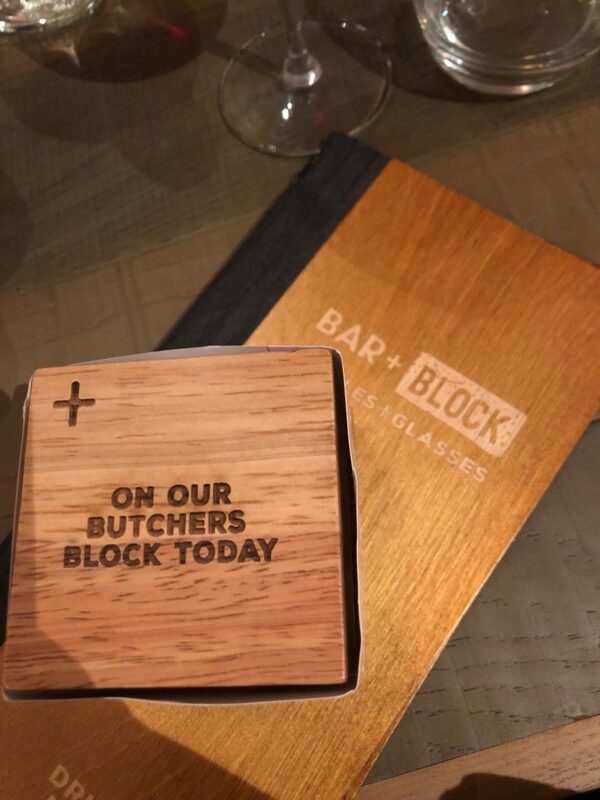 The fairly sized eatery has a bar area at the front whilst those dining have an option to unwind in the back in the comfort of an eloquently furnished Bar + Block. At first glance the menu is fairly international, with a tongue tickling selection of global delights from Pulled Beef Tacos to Deconstructed Beef Wellington, whilst my eye was vastly caught by the Halloumi Fries and the Surf & Turf – the idea of an 8oz sirloin topped with a lobster tail cooked is just purely genius. 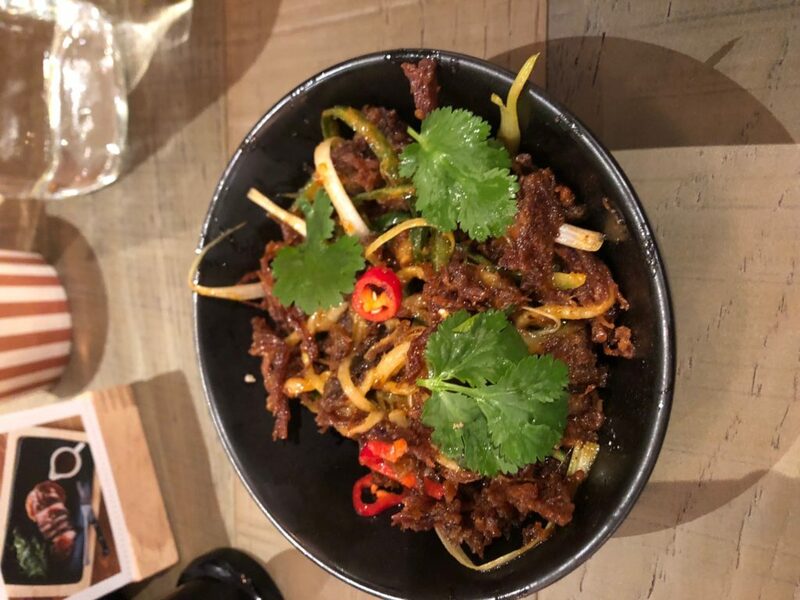 When the time came to order I opted for the Asian Crispy Beef (5.50), and the steak strips just melted in my mouth, the flavors were big and bold – slow cooked with a visually appealing image delivered by the peppers! 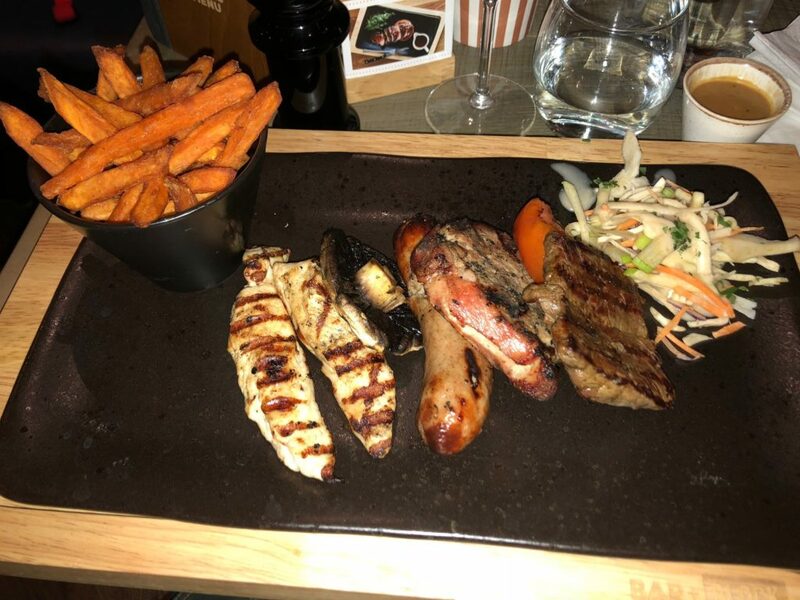 When it came to the mains I was enticed by the Mixed Grill (19.95), The 4oz rump steak, half a pork chop, half a grilled chicken breast and a giant pork sausage were freshly served within 15 minutes whilst I was thrilled to find out I could swap my French fries for Sweet Potato Fries. I have had many grills in my day but this stood out, the medium rare rump steak and grilled chicken presented a riot of texture and flavor but never brash! All of this for £40 – and this included two glasses of Merlot – a rather lovely bottle of Chilean red too!